Publicly held marine companies posted mixed results for the January-March quarter, attributing losses or reduced profits to cooler-than-average weather, measured against unseasonably warm conditions during the same period in 2012. During conference calls with analysts, chief executives Dustan McCoy of Brunswick Corp. and William McGill of MarineMax Inc. were among those who cited the weather as a factor in results less favorable than expected. Brunswick reported a first-quarter profit that was higher, compared with the quarter a year earlier. MarineMax reported a profit in its second fiscal quarter that was lower than in the comparable quarter in 2012. Some equipment and accessories companies cited a spotty global economic recovery as the culprit for results that were below expectations. Sales increases that prompted Brunswick to increase 2013 expectations were led by outboard marine products and fitness equipment, but partly offset by declines in fiberglass sterndrive, inboard products and the bowling business. 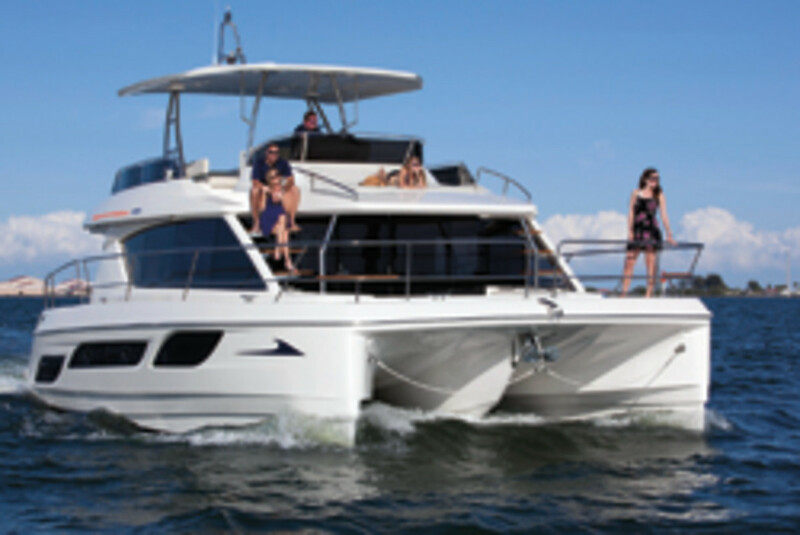 The company saw a slight decrease in sales for the overall boat segment, from $291.8 million in the first quarter of 2012 to $289.7 million this year. Brunswick reported net earnings of $49.8 million for its first quarter, ended March 30 — an increase of 25 percent from the $39.7 million the company posted in the 2012 quarter. Overall net sales increased 4 percent and gross margins were 150 basis points higher than in 2012. For the first quarter of 2013, Brunswick reported net sales of $995.3 million — up from $959.6 million a year earlier. “Our first-quarter gross margin of 26.3 percent reflected an increase of 150 basis points from the prior year, with the majority of the increase coming from the marine engine segment,” McCoy said. The engine segment, which includes Mercury Marine Group, parts and accessories, reported net sales of $521.8 million in the first quarter — up 7 percent from $489.4 million in the first quarter of 2012. International sales, which represented 36 percent of total segment sales in the quarter, were flat, compared with the prior year. For the quarter, the marine engine segment reported operating earnings of $71.5 million. This compares with operating earnings of $47.9 million in the first quarter of 2012, which included $1.7 million of restructuring charges. The boat segment dipped slightly from last year, in part because of lingering challenges in Europe, the company said. International sales, which represented 34 percent of total segment sales in the quarter, decreased 13 percent during the period. McCoy reiterated his position that despite competition for a larger piece of a shrinking pie among roughly the same number of builders, Brunswick’s strategy, which relies heavily on the sterndrive cruiser market, will not shift. Reporting second-quarter results, MarineMax said same-store sales grew about 12 percent on top of a 26 percent increase for the same quarter in 2012. Revenue grew 11 percent, to $160 million, compared with $144 million last year at the nation’s largest recreational boat retailer. Net income was $344,000, or 1 cent a diluted share, compared with $2.3 million, or 10 cents a diluted share, in the 2012 quarter. Revenue increased 10 percent, to $259.1 million, for the six-month period that ended March 31, compared with $235.8 million last year. Same-store sales increased about 10 percent on top of a 16 percent increase in the comparable period last year. The Clearwater, Fla.-based company’s net loss for the six-month period was $3.8 million, or 17 cents a share, compared with a net loss of $1.9 million, or 8 cents a share, in the comparable period last year. “Based on our trends, it is our belief that the industry’s recovery is continuing and we expect to benefit from the ongoing improvements,” McGill said. Marine Products Corp., the builder of Chaparral sterndrive and inboard boats and Robalo outboard sportfishing boats, saw a 17 percent increase in net sales for the first quarter because of a 12.3 percent increase in the number of boats sold and a 2.9 percent increase in the average price per boat sold. Net income for the quarter that ended March 31 was $1.45 million, or 4 cents a share, compared with $1.63 million, or 4 cents a share, in the quarter a year earlier. Unit sales increased because of higher sales of larger Chaparral boats and value-priced Robalo sportfishing boats, and the average selling price per boat increased during the quarter because of higher sales of several larger models, particularly the Chaparral 257 and 277 SSX. Gross profit decreased as a percentage of net sales because of increased employment costs and the lower margins generated from more value-priced boat sales than in the 2012 quarter. Operating profits also decreased, dropping 28.3 percent, to $1.47 million, compared with $2.05 million in the first quarter last year. The company blamed the dip on higher selling, general and administrative expenses. Those expenses increased because of costs that vary with sales, such as warranty expense and commissions. As a percentage of net sales, these expenses decreased slightly, from 13.1 percent in the first quarter of 2012 to 12.7 percent in the first quarter this year. 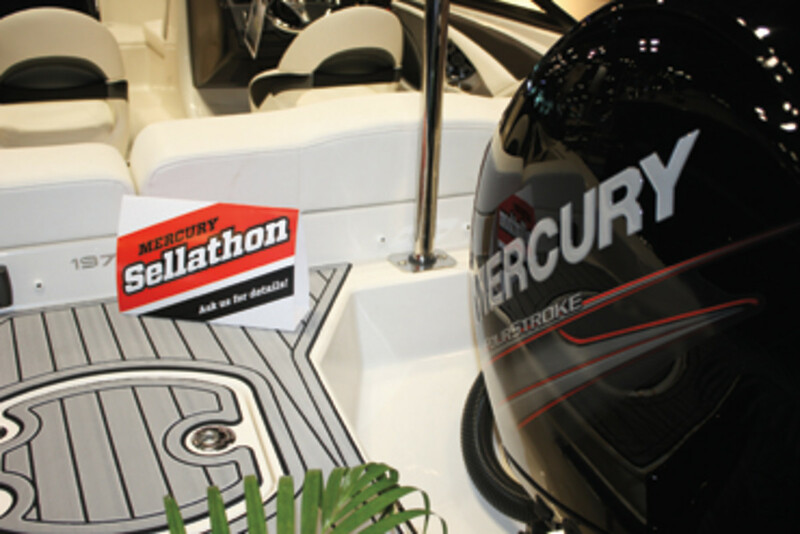 “We are in the peak of the 2013 retail selling season, and based on activity during the 2013 winter boat shows and recent general macroeconomic indicators we are moderately optimistic regarding our dealer and retail sales opportunities,” CEO Richard Hubbell said in a statement. Preliminary numbers show that Chaparral’s share of the 18- to 35-foot fiberglass sterndrive market was 11.6 percent, maintaining its position as the third-largest manufacturer in this category, Hubbell said. Net sales were $44.28 million, compared with $37.85 million in the quarter last year. Gross profits for the quarter were $7.1 million, or 16.1 percent of net sales, compared with $7 million, or 18.5 percent of net sales, in the prior year. Chaparral announced soon after Marine Products released its earnings report that it will enter the jetboat market. West Marine lowered its full-year guidance and announced some overhauls after reporting a 5.9 percent decrease in first-quarter net revenue from $121.5 million in 2012 to $114.2 million this year. The company reported a first-quarter net loss of $9 million, or 38 cents a share, compared with a net loss of $6.2 million, or 27 cents a share, in the first quarter last year. Pretax income in fiscal 2013 is now expected to be in the range of $24 million to $27 million, about $1.5 million lower than the company’s earlier pretax income guidance, and would result in diluted earnings per share of about 60 to 67 cents. West Marine also said it will combine all segments — previ ously reported as three separate entities — into one, beginning this fiscal year. Comparable-store sales decreased by 6.6 percent for the quarter ended March 30, compared with the quarter a year earlier, the company said; however, direct-to-consumer channel sales rose 15.8 percent, driven by the company’s investment in e-commerce. The company also said it was changing its reporting methods. Historically it has reported three segments, but with the new CEO it has changed the way it views and manages the business. Now it will integrate systems and concentrate on “omni-channel retailing” and will report the segments as one entity. • Caterpillar reported lower-than-expected first-quarter profits because of a decline in mining, prompting the company to lower its revenue outlook for the year to $57 billion to $61 billion from its previous outlook of $60 billion to $68 billion. First-quarter 2013 sales and revenue were $13.2 billion, a decline from $15.98 billion in the first quarter of 2012. Profit was $880 million in the first quarter, compared with $1.59 billion in the quarter a year earlier. • Cobra Electronics Corp. reported a net loss of $1.5 million, or 23 cents a share, for the first quarter, compared with net income of $339,000, or 5 cents a share, for the year-earlier quarter. The company reported an operating loss of $1.7 million for the current quarter, compared with operating income of $161,000 in the quarter last year, reflecting a drop in net sales of $4.8 million. The sales decline resulted from lower Eastern European sales of radar detectors, lower European sales of two-way radios and lower domestic sales of citizens band radios and inverters. The decreases in European and domestic sales reflected a more than normal seasonal slowdown in store traffic, largely as a result of weaker consumer spending and harsher global winter weather conditions, particularly in Eastern Europe. • FLIR Systems announced a first-quarter earnings-per-share increase of 13 percent. Revenue was $348.6 million, basically unchanged from first-quarter 2012 revenue of $348.5 million, at the Oregon-based parent of Raymarine. Operating income in the first quarter was $69.1 million, compared with $68.3 million in the quarter last year. Net income was $51.6 million, or 35 cents a diluted share, compared with net income of $48.1 million, or 31 cents a diluted share, in the quarter a year earlier. The Raymarine segment contributed $44.4 million of revenue in the first quarter, down 5 percent from the prior year. First-quarter results were consistent with expectations. Despite a difficult funding and macro environment that customers were experiencing, both divisions have meaningfully higher backlog than they did a year ago, the company said. FLIR Systems president and CEO Earl Lewis said he plans to retire, effective May 19. FLIR said Lewis will assume a senior adviser role to assist the transition and will remain chairman of the board. Andrew Teich, who has been president of the company’s commercial systems division, will become president and CEO. • Garmin Ltd. saw a 4 percent drop in revenue, to $532 million, in the first quarter from $557 million in 2012. The company announced that the marine segment saw one of the largest dips, falling 10 percent, to $50 million, because of heavily discounted products necessary to maintain market share, unfavorable weather in the United States and ongoing macroeconomic uncertainties. The company said forthcoming innovation in glass helms and future offerings should return the segment to profitability. The company announced its GPSMAP 8000 glass helm series in the marine segment, a device that seeks to enhance user interface. All geographic areas saw declines, with the Americas down 3 percent. Gross margin improved both sequentially and year over year, to 52 percent, in the first quarter from 49 percent in the fourth quarter of 2012 and 51 percent in the first quarter of 2012. Net earnings were $88.7 million, compared with $86.9 million during the first quarter last year. • Johnson Outdoors said its marine electronics segment boosted its second-quarter year-to-date revenue and earnings, and growth in North America and northern Europe helped offset declines in challenging southern European markets. Marine electronics remains the company’s primary growth engine, experiencing an 11 percent jump in sales and significant growth in operating profit for the year to date. Marine Electronics revenue increased 9 percent year over year. Sales increased 3 percent, to $132.1 million, in the second fiscal quarter, which ended March 29. Second-quarter net income grew 23 percent, to $8.9 million, a $1.7 million improvement year over year. Fiscal year-to-date revenue grew 5 percent, to $219.4 million, and net earnings increased 112 percent, to $9.2 million, during the fiscal first six months. 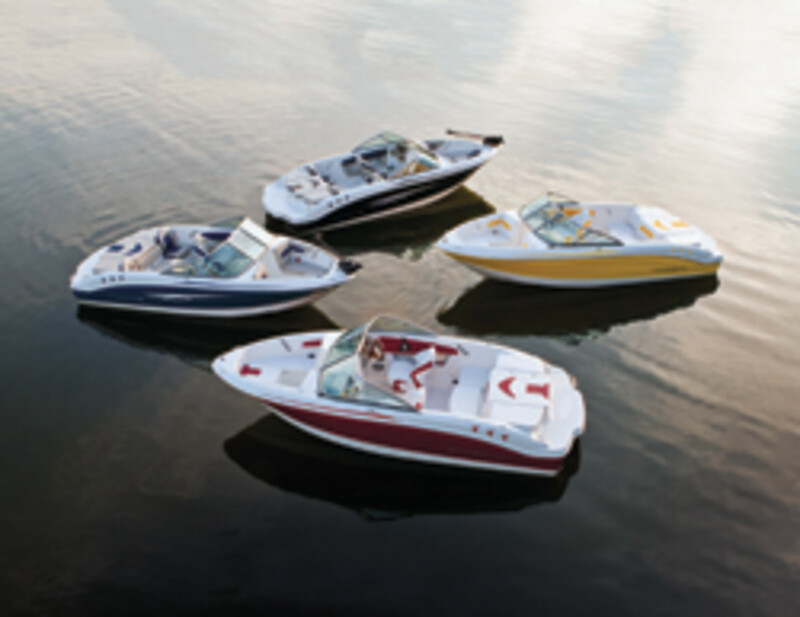 Watercraft sales declined because of a de-emphasis in low-margin lines and lower sales in Europe. • Twin Disc reported sales and earnings declines in its third quarter, ended March 29, because of continued weakness in the North American pressure pumping sector. Offsetting weakness in these markets was higher demand from customers in the North American and Asian commercial marine markets. Sales to customers serving the global megayacht market remained at historic lows in the quarter and demand remained steady for equipment used in the airport rescue and firefighting, and military markets. Sales were $68.2 million, down from a third-quarter record of $95.5 million for the same period last year. For the year to date, sales were $209.4 million, compared with a record $259.8 million for the fiscal 2012 nine months. The forecast decrease in sales was primarily the result of lower demand from customers in the pressure pumping sector of the North American oil and gas market and softness in sales to European customers. The company reported a net third-quarter loss of $757,000, or 7 cents a share, compared with net earnings of $10 million, or 86 cents a share, a year earlier.